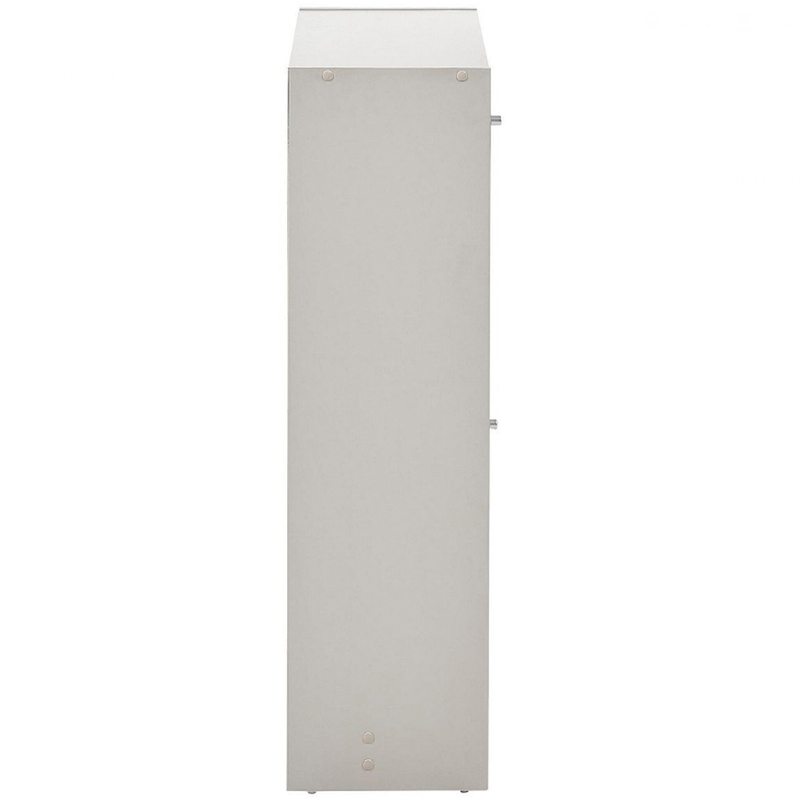 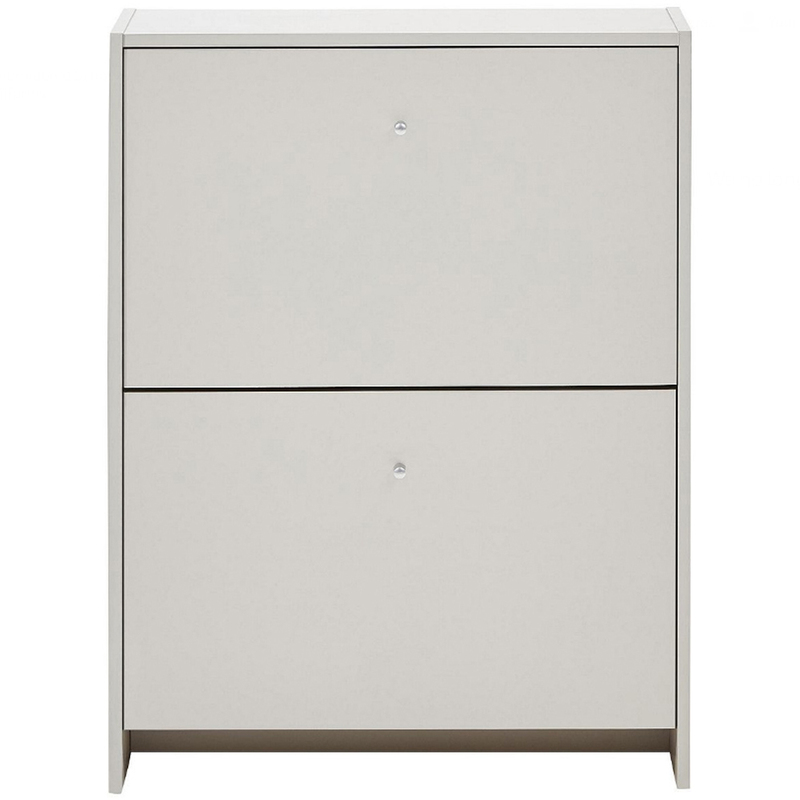 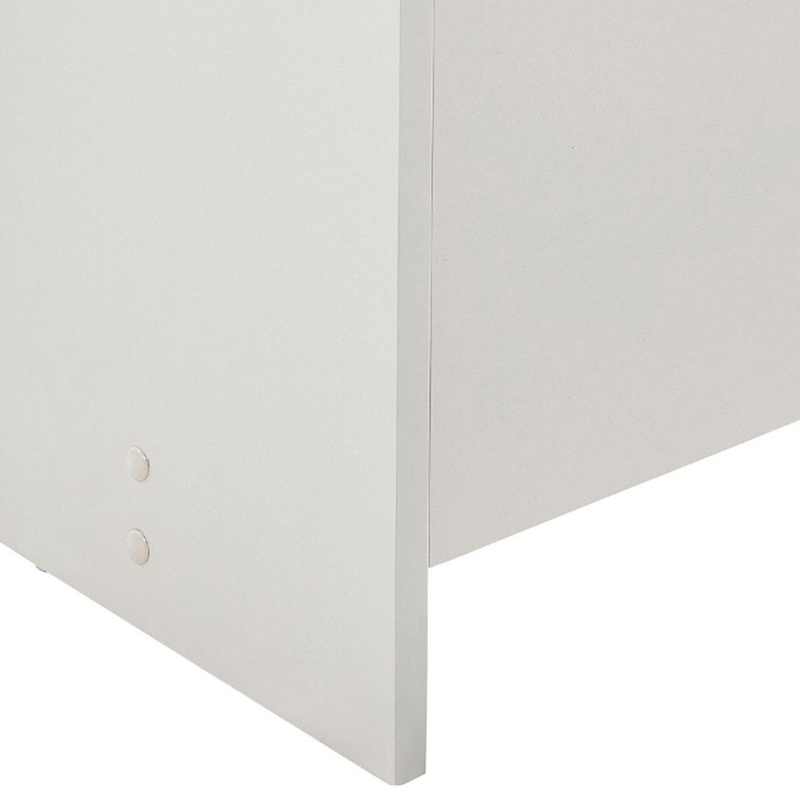 This compact shoe cabinet is perfect for use in hallways and bedrooms and also great for inside cupboards. 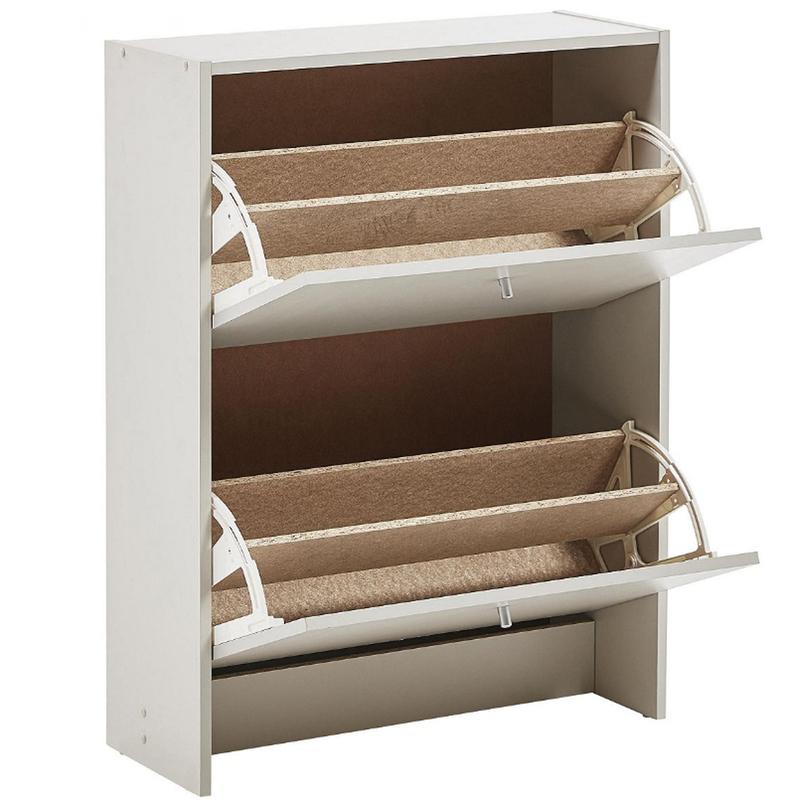 Its roomy pull-down storage drawers can hold up to 4 pairs of shoes each - totally 8 pairs for the whole cabinet. 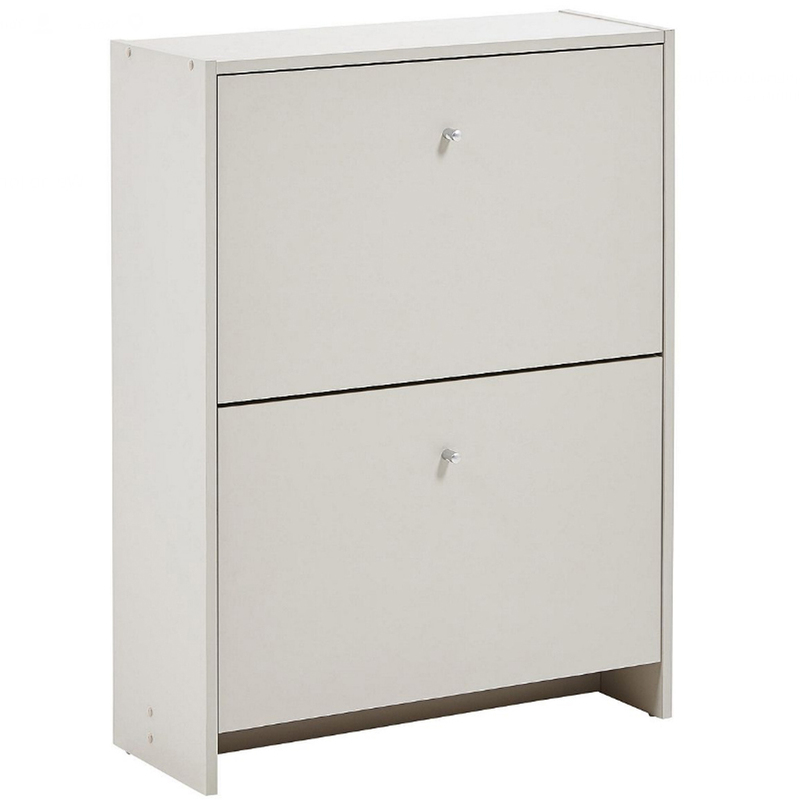 Made from sturdy particle board with a putty (grey/beige) finish it will blend into any style of decor - finished off with silver metal effect knob handles.